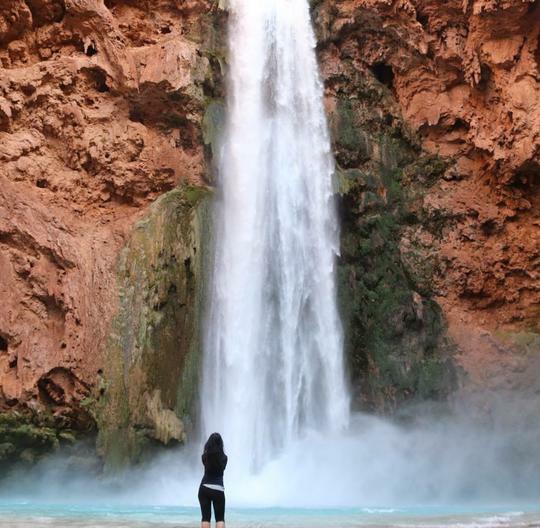 Hikers love the blue green waterfalls of Havasu Falls. 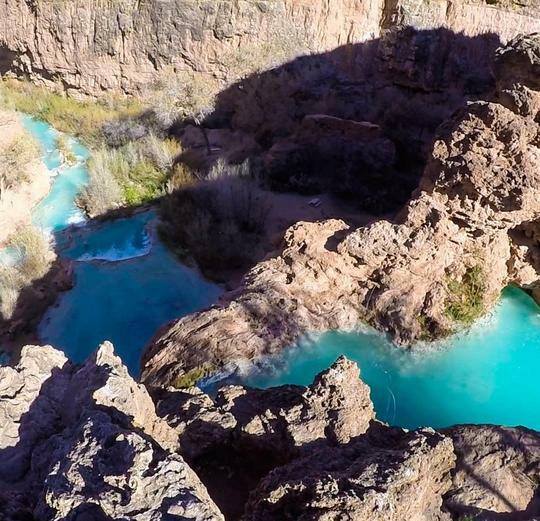 This destination is hidden within the Grand Canyon but getting reservations will be difficult. If you're a hiker, this 10-mile hike each way, to the falls and back, is for you. Paradise! 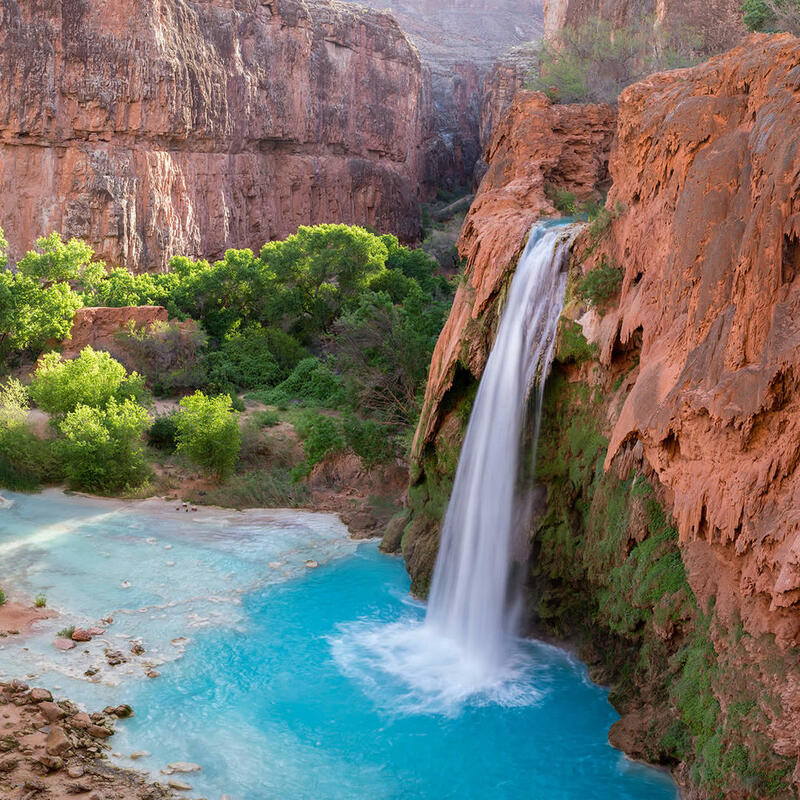 The people of the falls, the Havasupai people, have been the traditional guardians of the Grand Canyon and visitors are asked to respect their sacred land by leaving liquor, drugs, weapons, and pets at home. Some areas are off limits to visitors. Top of Havasu Falls, absolutely breathtaking, no filter!